PLANET DANCE is Fire Bomber's first insert theme from Macross 7. Lv. 5 Limiter Song - Walküre Attack! 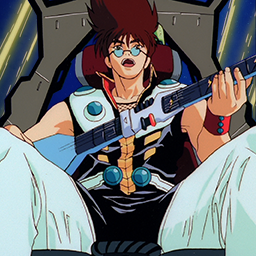 During the song's intro, Basara will descend onto the stage similarly to the first episode of Macross 7. Its appearance in the New Song Live ~The Third Shot~ battle event made it one of the first songs with six lanes to be in an event.